Modern Calligraphy for Beginners: Paper - Quire & Co. I really have no idea how to start of this post so let’s just jump in. Here are four things to look for when choosing the right type of paper when you’re doing modern calligraphy. Smooth paper is generally easier to work with, especially if you are learning how to use a dip pen. If it is too rough, the nib of the pen can catch onto the fibers and cause splatters and skipping. When using other writing instruments, the texture of the paper is not as important. Sometimes a bit of texture can add interest to your pieces! 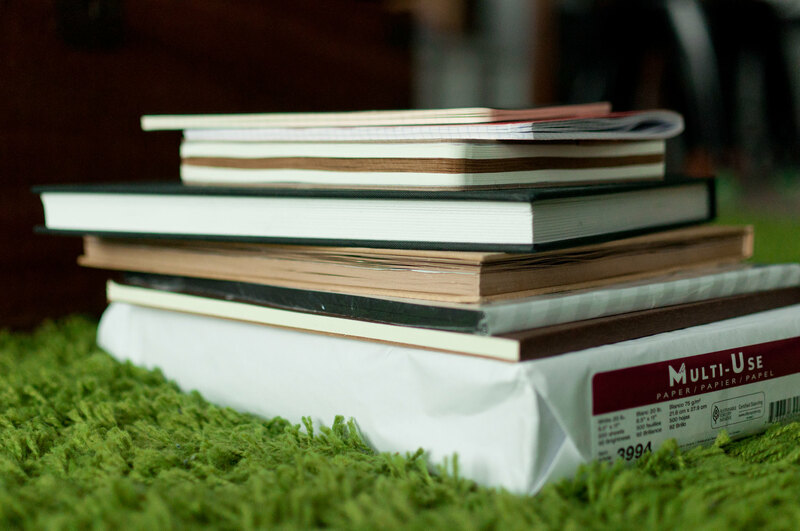 Besides researching online, the best way to find smooth paper is to go in store and feel it for yourself. 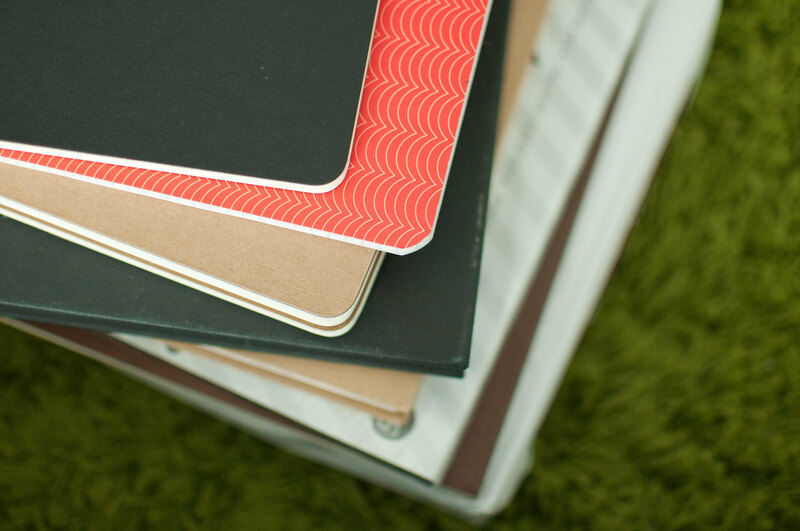 Clairefontaine and Rhodia are two brands that have amazingly smooth notebooks and pads. Thickness is measured in pounds (lbs) or grams per metre squared (gsm). For reference, regular computer paper is usually 20lb or about 75gsm. As the number increases, so does the thickness. You can usually find this information on the packaging. Here’s a chart showing different weights and examples of when and how they can be used. Thickness won’t really matter when you’re just in the beginning or practicing, but your needs may change once you starting working on different projects. 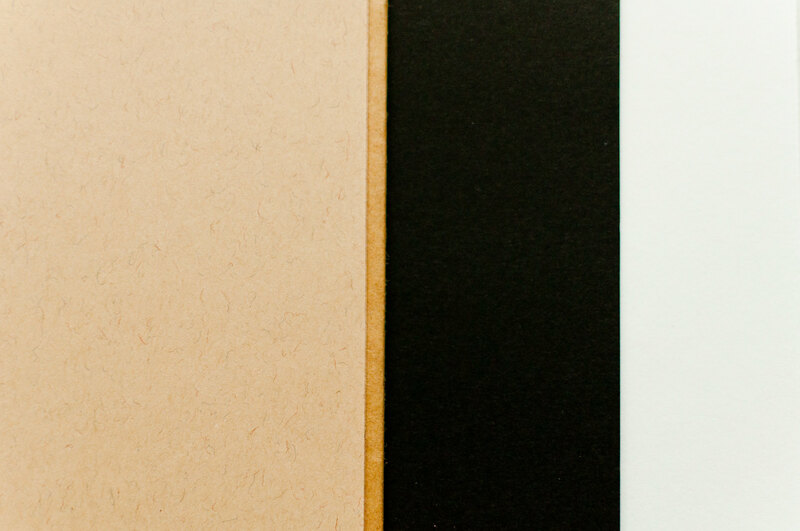 Obviously, paper comes in different colours. The most important feature for beginners! 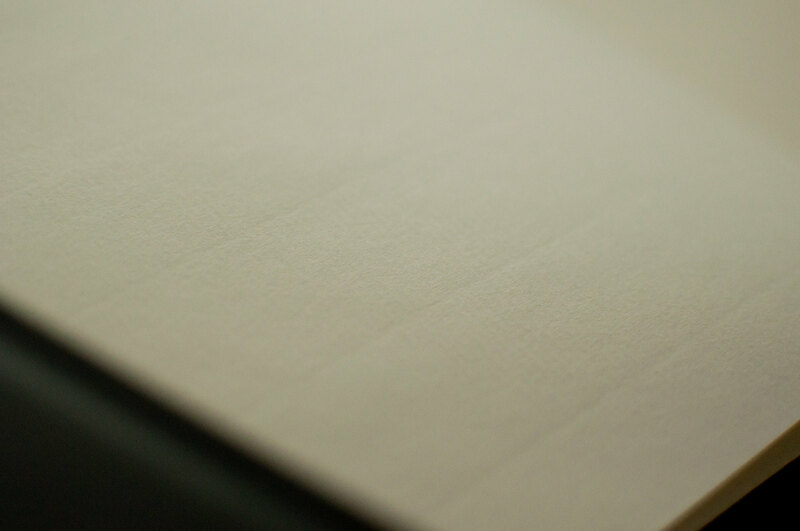 Paper comes in many different prints (ruled, graph, dot grid) or sometimes no prints at all. When starting out, I always recommend using graph or dot grid paper. This helps you learn how to correctly size and shape every part of every letter. With time, you’ll develop the muscle memory required to write these letters without using guides. 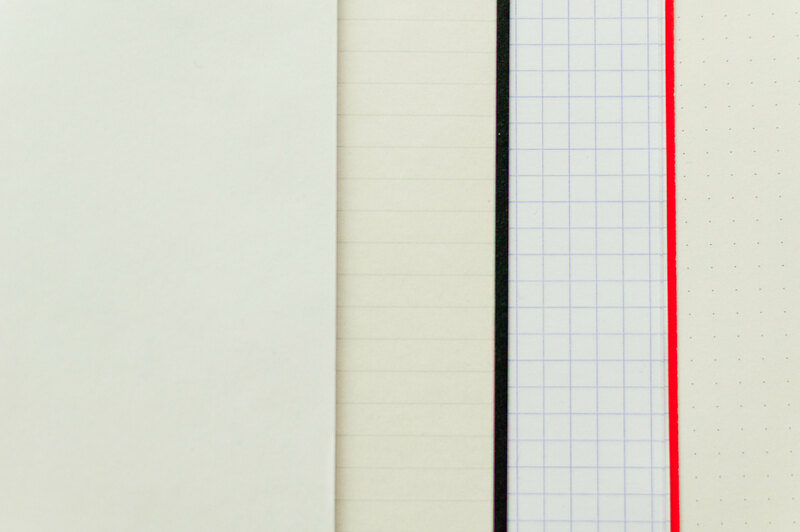 Here are two sites where you can printable graph and dot grid sheets for free! Now that I’ve covered the different characteristics to look for, here are some types of paper that you can find. This is great for working with a dip pen because the paper is smooth and has very faint lines indented into it which makes it great for practicing. However, it is a bit pricey and personally, I don’t find it necessary when working with a brush pen or a regular pen. My favourite! I love using it when I’m practicing with a brush pen or general drafting. It’s affordable and easy to find. A tip: keep any scraps you may have lying around and use that for practice. Calligraphy uses a lot of paper so I like to waste as little as possible – I doodle on the back of old bills, envelopes, all kinds of scrap! I use card stock for anything that I’m planning on giving away or displaying because of its sturdiness and because it comes in so many colours and patterns. It is great for cards, tags, prints and posters and looks very clean and professional! When doing calligraphy with a brush and watercolours, you have to use watercolour paper because it will stay intact despite getting wet. There are two types: cold pressed, which is textured and hot pressed, which is smooth. Cold pressed tends to be easier to find. Hot pressed is generally better for calligraphy but cold pressed is perfectly fine! 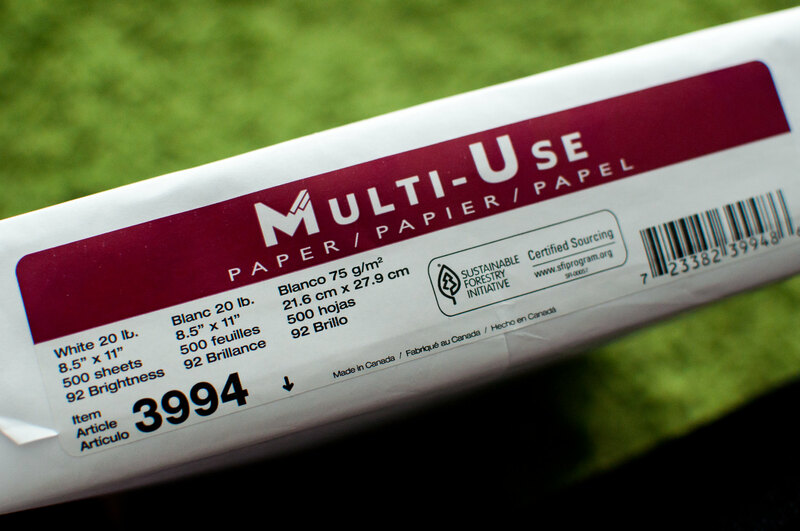 And there you have it – almost all you need to know about paper! Or rather all I know about paper. I always say that calligraphy doesn’t have to be expensive and I want to say it again: if you’re just starting out, don’t go out and buy all the fancy things. Use whatever you can find at home, whether it be an old sketch book or a half used graph notebook from elementary school. When your skill improve and you develop new techniques, then you can start shopping. Good luck! If you have any questions or any more details, feel free to reach out to me through social media or in the comments. Next week, I’ll go over some great resources for beginners, including books, sites and other fun things! This entry was posted in Beginner Series, Modern Calligraphy and tagged beginner series, brush calligraphy, calligraphy, modern calligraphy, notebook, online shopping, shopping in canada, supplies. Bookmark the permalink. Pingback: Modern Calligraphy for Beginners: Writing Instruments - Quire & Co.
Pingback: Modern Calligraphy for Beginners: Tips - Quire & Co.